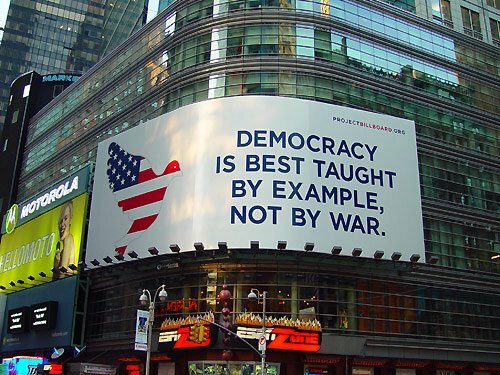 Democracy is best taught by example, not by war. Looks like it’s from www.projectbillboard.org Thanks Lori! You have some cool pics!! !